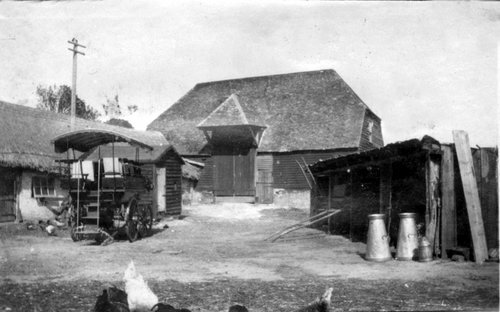 1843 Farm yard, house and garden Mrs Thomas Edward Hobday T115 and 116 Hobday and his father George occupied over 60 acres in Deal of which about half was in Upper Deal. 1934 Neptune Farm, Manor Rd Deal Library Pictures 101 Black & white postcard. The converted building is still recognisable in 2010. 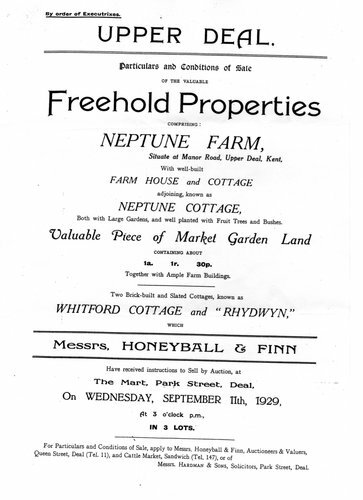 1949-45 Neptune Farm, Manor Rd Freda Hopper Date not specified. Barn roof damaged by a local explosion and replaced with corrugated metal from grant of £25.